After six hours on an evening bus, I found myself in Santiago, Isabela at 3:30 in the morning. It was a good thing I took the deluxe bus of Victory Liner since the ride was really comfortable. 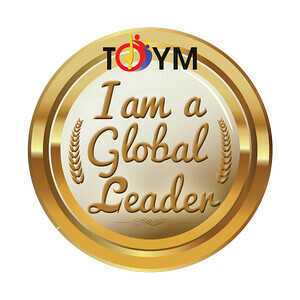 It was my first major local trip since I got back after close to three months abroad. We were meeting up with the organizers of the Mayoyao harvest experience in Santiago. 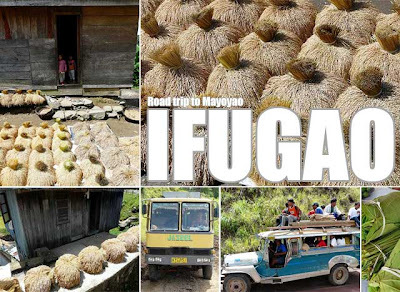 And together, we would make the rough trip to the remote Ifugao town of Mayoyao on a hired rickety bus. Josh, the president of the group, is my colleague from the Cultural Citizens Program and we were together in Illinois last month. Since we had arrived in Santiago earlier than expected (our ETA was 6 a.m. but the deluxe bus travels non-stop), we were able to make an unscheduled stop in Magat Dam before making our way to Mayoyao. I had been there once before as part of a heritage tour of Cagayan Valley. 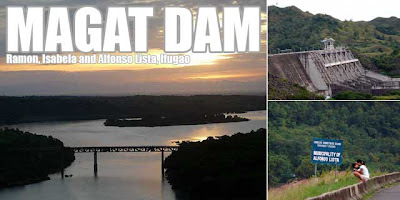 There's another dam called Maris Dam (short for Magat River Irrgation System) which we passed by on the way to Mayoyao. 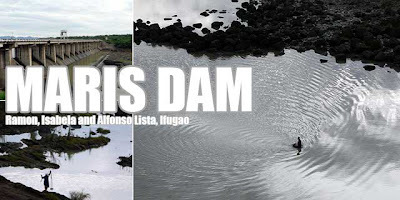 Both dams are at the boundaries of Ramon, Isabela and Alfonso Lista, Ifugao. We were able to take photos of the fishermen dwarfed by the smaller dam before proceeding. It was a wonder how I was able to doze off during that long bumpy ride. The next thing I knew, it was 7:30 a.m. and we had stopped over in Ubao in the town of Aguinaldo for breakfast. In the olden days, Ubao was known as a hunting area. But that is no longer the case today. Aside from the fact that hunting deer is illegal, deer are scarce. We were back on the road a little later. Again, I dozed off. But I tried to keep myself awake so as not to miss some good views since we were not passing by this road on the way back to Manila. Before leaving the town of Aguinaldo, we passed by a waiting shed where a woman was selling moma (betel nut) and hapid leaves as well as a local kakanin called pinang-it which is known as bakle in Kiangan. I noticed a sign which said the curfew in this area was at 8:30 p.m. You must be kidding?! Then it hit me that we were out in the middle of nowhere. Occasionally, we'd pass by clusters of houses along the road with freshly-harvested palay in bundles being dried under the sun. And there are the scarce trips of jeepneys with people on the roof of course. Then we started to see large clusters of rice terraces. We were finally closing in on Mayoyao's town center. 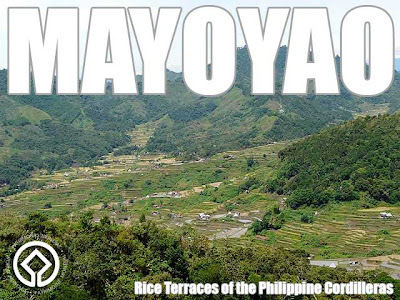 Mayoyao is one of the five clusters of rice terraces included in the UNESCO World Heritage inscription Rice Terraces of the Philippine Cordilleras, the others being Bangaan and Batad in Banaue; Hungduan (which includes Hapao and the Poblacion); and Nagacadan in Kiangan. We finally arrived in Mayoyao close to lunch. It turned out, the trip from Santiago, Isabela to Mayoyao, Ifugao (together with the food and photo stops of course) was longer than my bus ride from Manila to Isabela! I endured seven hours on a rickety bus. We navigated through rough, bumpy roads, but what I saw at the end was most definitely worth the trip. Our activities would begin after lunch and a short nap. We needed to get some rest after that very long trip. nice blog, ivan. very informative one. here's my photo essay on that trip. nice blog, ivan. very informative. here's my photo essay on that trip. what bus ply the route from manila to santiago? thanks. 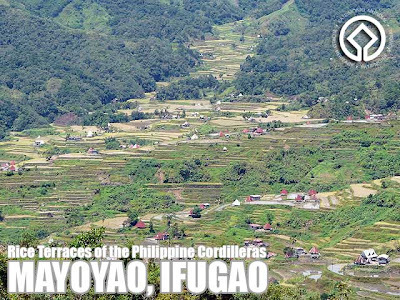 i've been here in mayoyao last may 2011 and been in banaue ifugao 3x already and still wanting to be back. such a wonderful place.